A Million contract signed between L&T Infotech and Rail Vikas Nigam Ltd (RVLN). 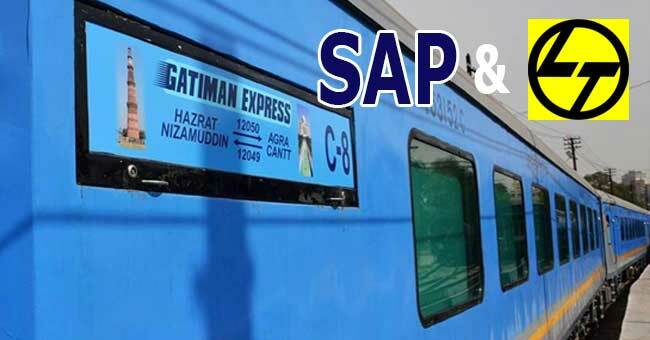 A renowned provider of information technology services L&T Infotech was contracted to 10$million worth of project to unite business functions of Rail Vikas Nigam Ltd (RVLN). To unite these business functions L&T Infotech will deploy SAP ERP is what the contract reveals. As per the contract and agreed term there are various services which L&T Infotech will be delivering to ensure unparalleled business function for Rail Vikas Nigam Ltd (RVLN). Data Centre hosting, collaboration and networking, including e-tendering, project management, finance, HR functions and many more are some of the services what the agreement between two parties disclose implementing in 24 projects across India and corporate office in Delhi. It can be very beneficial to Rail Vikas Nigam Ltd (RVLN) wherein streamlining their operation and saving time and money both in one go said K. Magapu, Managing Director, L&T Infotech. It can be a great deal wherein various solutions can be laid to overcome and deliver effective services. Rail Vikas Nigam Ltd (RVLN). For Project Management of Rail Infrastructure Projects RVLN is looking forward to work closely with L&T Infotech for smoothly implementing solutions. To ensure speedy implementation SAP (Systems, Applications, Products in Data Processing) will be used to map business services in a united way. There is a specific mandate by RVLN a public sector undertaking by Govt of India to make fast implementation of all projects in a well structured and planned way.